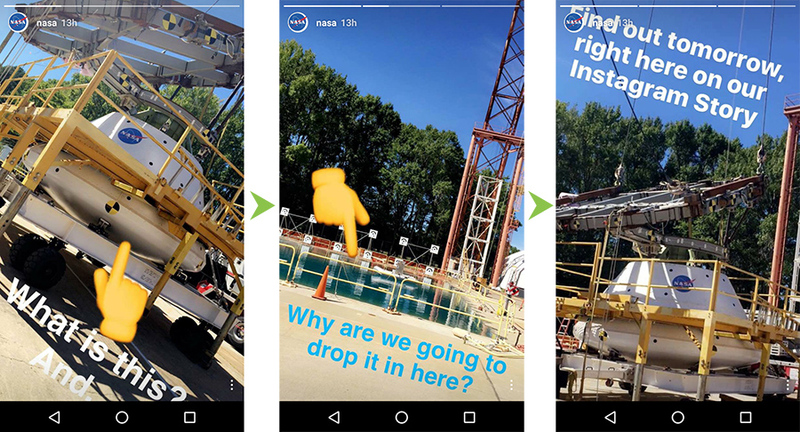 The August 2 launch of Instagram Stories is easily the biggest new development in social media marketing in months, if not years. If you’re unaware, Instagram Stories essentially turns Instagram into a Snapchat competitor. Just like Snapchat stories, this feature allows you to share an endless stream of memories that disappear after 24 hours. You can think of it as Instagram splintering into two separate products: conventional Instagram for sharing curated moments, and Stories for sharing spontaneous moments. 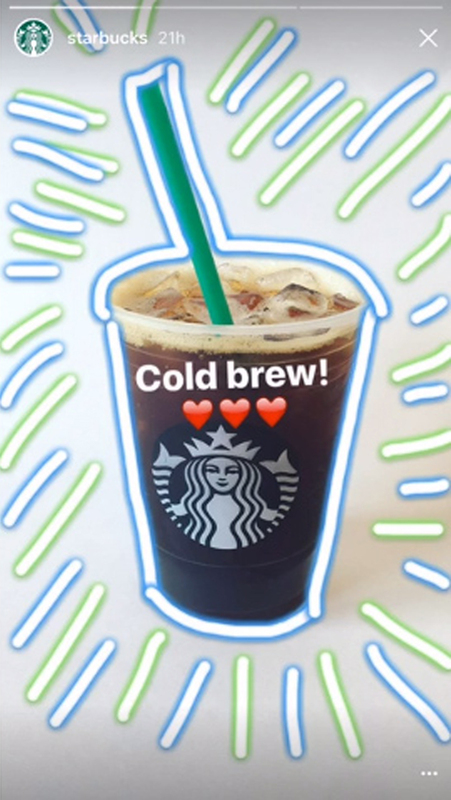 The question now is: how can businesses use Instagram Stories to promote themselves? Is it even possible to use such an ephemeral medium for marketing? If yes, how? We’ll give you some answers in this post. If you want to understand Instagram Stories, you have to first understand the rise of Snapchat. Snapchat has grown at a phenomenal pace in the last few years. By some estimates, it will surpass Twitter and Pinterest users in the US before the end of this year. At nearly 59M US users, Snapchat also reaches almost 1 in 5 Americans. 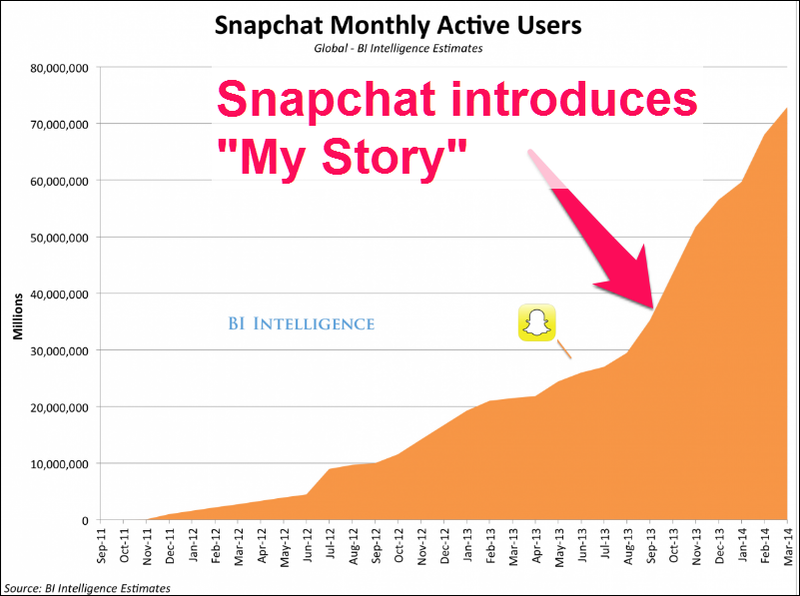 Snapchat’s growth has been largely fueled by the My Story feature introduced in October 2013. This feature allows anyone to share a series of pictures that disappear within 24 hours. Since the pictures don’t show up in your friends’ feeds (unlike Instagram or Facebook), you have a lot more leeway to share random moments. This takes the pressure off content creation, which makes sharing much easier. Since the My Story feature was launched, sharing on Snapchat has skyrocketed. Nearly 9,000 pictures are shared on Snapchat every second. Users also watch nearly 10 billion videos a day on the app. In contrast, the traditional Instagram model focuses heavily on capturing perfect moments. The image filters, user tagging and description-focused format places considerable pressure on users to share high-quality pictures. Even more, since every picture you share on Instagram ends up in all your followers’ feeds, there is an implicit expectation that your pictures will be worth sharing — a big departure from the freewheeling, as it happens nature of Snapchat. You could say that if Instagram is a diary of the best moments of your life, Snapchat’s Stories are a reflection of the chaos of your everyday life. They can both exist side-by-side, but Snapchat’s format makes it much easier to share the ins and outs of your daily life without unnecessarily interrupting your friends. Instagram Stories is essentially an attempt to merge these two schools of sharing. You would use regular Instagram to share your best moments, and Stories to share your day-to-day life. This is the Stories section. If you click on any of the icons here, you’ll be taken to that page’s Stories section. 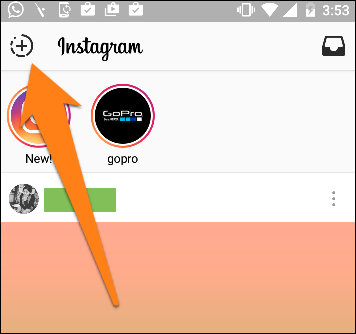 If you want to start your own story, you’ll have to click the + button next to the Instagram logo. Once you take a picture, you can tap the Edit icon to add effects. You can also tap the screen anytime to add text. Alternatively, tap the Aa icon at the top of the screen. 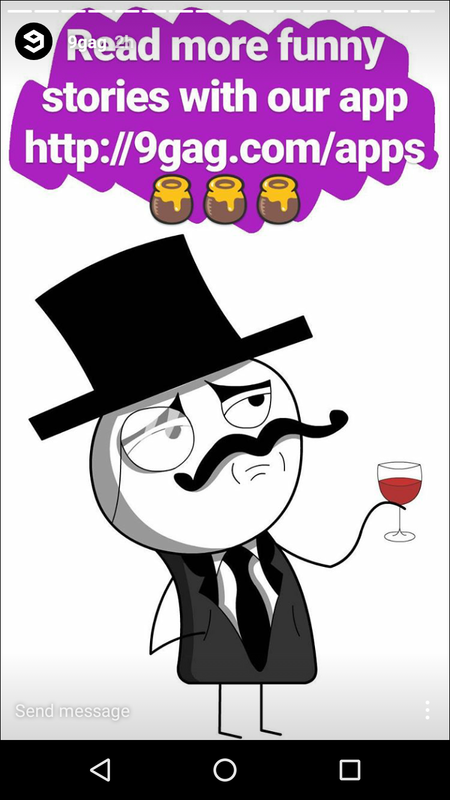 Once you’re done, tap the Up arrow to share the image with your followers. 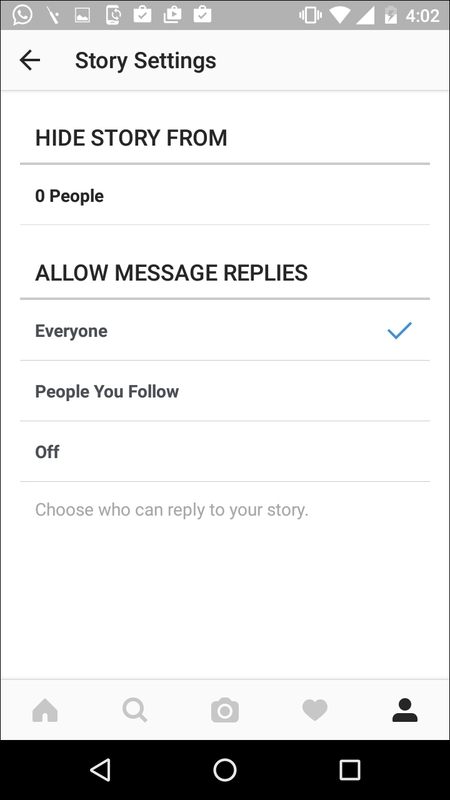 You can also change your Story settings by going into your profile, tapping your profile picture, and selecting Story Settings from the edit menu. Here, you can decide who you want to show the story to. Of course, if you’re running a business, you’d want your pictures to be visible to everyone. 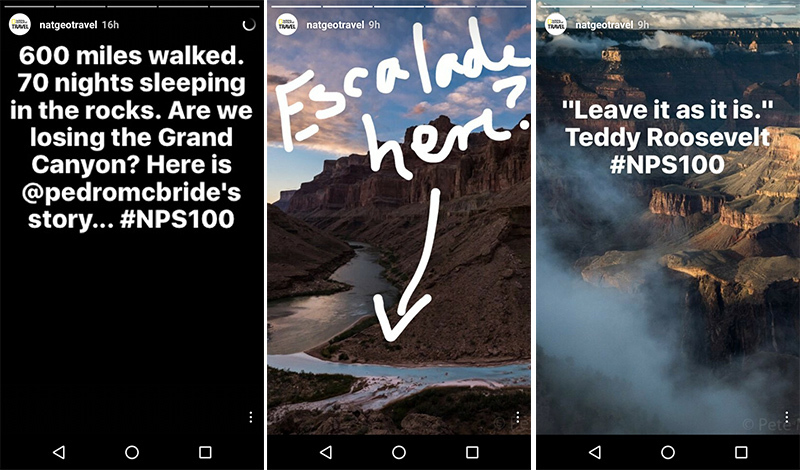 The question now is: how do Instagram Stories differ from regular Instagram? The feed is what defines Instagram, Twitter and Facebook. Except all pictures you add to your Stories won’t show up in the feed at all. They’ll show up only when someone taps your profile picture at the top of their feed. This means that you can safely share tens of pictures without worrying about cluttering up your followers’ feeds. Each picture or video in the feed only lasts for 24 hours. The ephemeral nature of Stories encourages casual sharing. Since the pictures won’t live forever on your profile, you can safely share nearly anything (within good taste, of course). This is a big departure from the finely-crafted nature of regular Instagram updates. After all, the number of likes or comments on your regular Instagram updates are visible for anyone to see. Low engagement can be demotivating for people and brands alike (plus, for businesses, it’s just bad social proof). This isn’t something you have to worry about with Stories. Your followers can’t comment or like your updates; they can only browse through them. This should further encourage content creation and sharing. Think of this as built-in engagement analytics: Instagram will show you who watched different updates in your story. This is great for segmenting your audience (as we’ll see below). You can easily classify followers who watch every part of your story as highly engaged while those who drop off after 1-2 updates would have poor engagement. You can add emojis, text and paint to your story updates. This might not sound like a big deal but it will have a big impact on how you (and your followers) use Instagram. Better storytelling: You can use all these additional effects — paint brushes, text, emojis, etc. — to create better stories with minimal text. More casual updates: Regular Instagram focuses heavily on perfecting every moment. You’d take the right shot, use the right filters, and share it with the right filters. There is no sense of serendipity about any of these updates. On the other hand, emojis, finger paint, etc. turn Instagram Stories into a far more casual sharing platform. 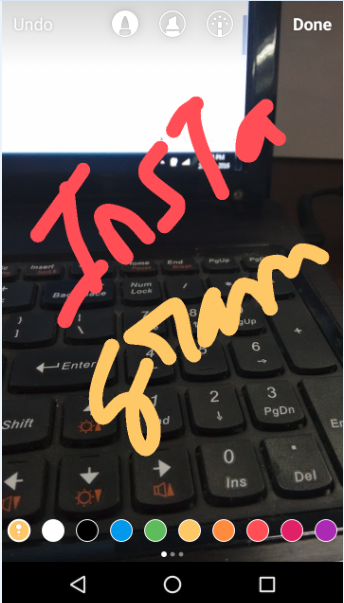 Instead of finding the right filter, you’d add wacky emojis and play around with finger paint before sharing your updates. This changes the expectations from your updates completely. Instead of perfection, your followers on Stories want serendipity. If you have limited marketing resources, should you spend them on Instagram Stories or Snapchat? 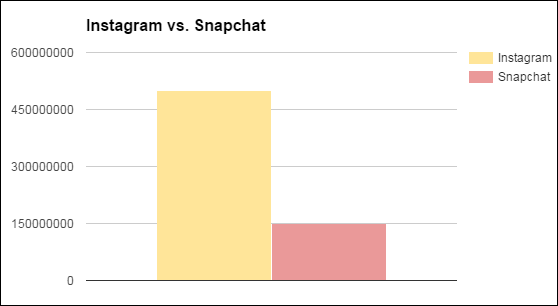 Statistically speaking, Instagram’s audience is much larger than Snapchat’s. Instagram has over 500M users while Snapchat’s user base is a little over 150M active users. The race is tighter among younger users. Last year, >32% of US teens list Instagram as their most important social network. This year, the momentum has shifted towards Snapchat: in one survey of teens, 28% listed Snapchat as their most important social network, followed closely by Instagram (with 27% of the votes). There’s another important metric where Snapchat wins over Instagram: Snapchat’s users are the most engaged of any social media users. (Of course, this might change with the launch of Instagram stories). To sum it up, Instagram has a wider reach among all users, but Snapchat has a wider following among younger users and a more engaged user base. Although there are no one-size-fits-all rules, here are a few guidelines you can follow when allocating your marketing resources. Prioritize Instagram if your audience is older. Also keep in mind your existing following on these platforms. If you already have tens of thousands of followers on Instagram, it might be better to focus on it over Snapchat. And finally, remember that Instagram has a robust ad program open to anyone (through Facebook Ads). 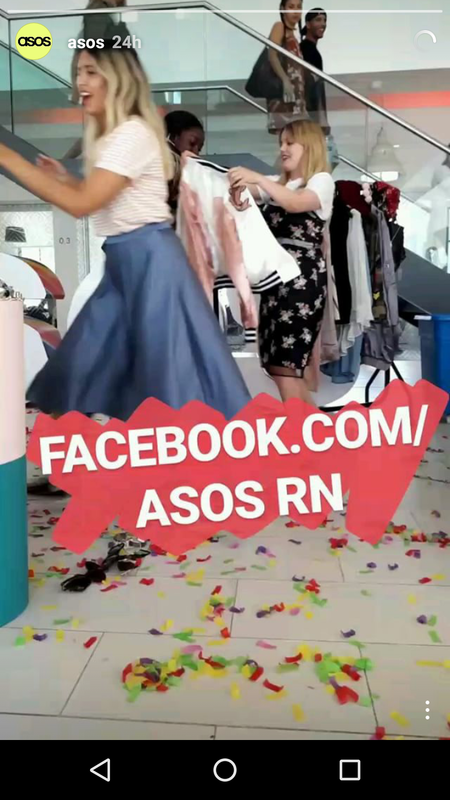 Snapchat’s advertising model, however, is still in beta and hasn’t proven to be viable for every business. Instagram Stories is a fantastic tool to brand and promote your business. Think about it: the platform is perfect for letting your hair down — metaphorically speaking — and show off what your brand is all about. Instead of the carefully controlled brand narrative your competitors are promoting, you can use Instagram Stories to create a more intimate, personal and effervescent brand. Let’s look at some ways for doing this. 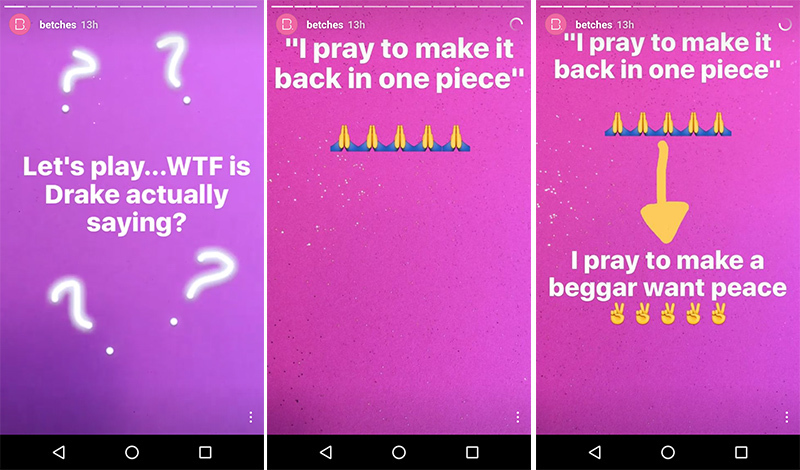 Turns out, the Instagram Stories’ 24-hours only format is perfectly suited for building buzz. Instead of coming soon pictures cluttering up your feed, you can tease followers with glimpses of new products . Of course, you don’t have to limit yourself to new product launches; you can also use Stories to build up anticipation for new content. This simple tactic builds up anticipation for NASA’s updates. After all, wouldn’t you want to know why NASA was dropping a strange satellite like device into a swimming pool? Another great way to use the 24-hour format is to run limited edition sales of select products. The story shared multiple images of models wearing the pink sunglasses. In between the pictures were images informing followers about the new sunglasses and the limited Instagram sale of 50 pairs of glasses. Scarcity: In the above example, the sale was limited to only the first 50 pairs. This creates scarcity — one of the pillars of persuasion – and promotes action. Urgency: Since the sale is limited to 24-hours, it creates a natural incentive to take action (just as in the JCrew example above). What does an average day at your business look like? What kind of people are behind the things you create? What kind of offices do you work in? What kind of food do you have in your cafeteria? These might be simple questions, but answering them does something incredible: it makes your brand more human. 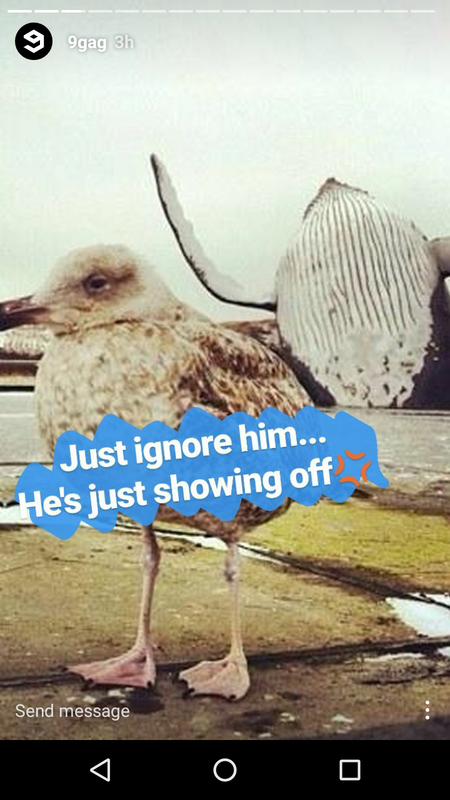 Instagram Stories is a perfect for sharing these behind the scenes stories. Instead of adding carefully crafted marketing stories to your feed, use the Stories feature to share an average day in your business. 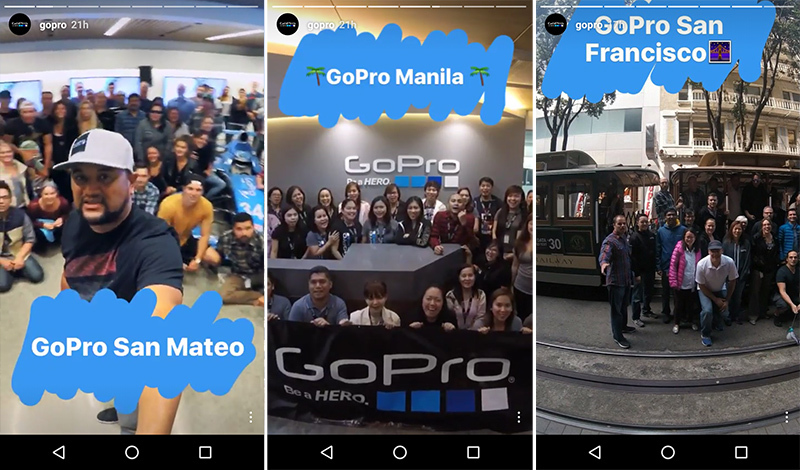 GoPro, for instance, has regular updates featuring its employees from different offices across the world. You can turn Instagram Stories into a platform where you reward your most engaged followers with exclusive content. This is content that doesn’t show up on any other social profile. 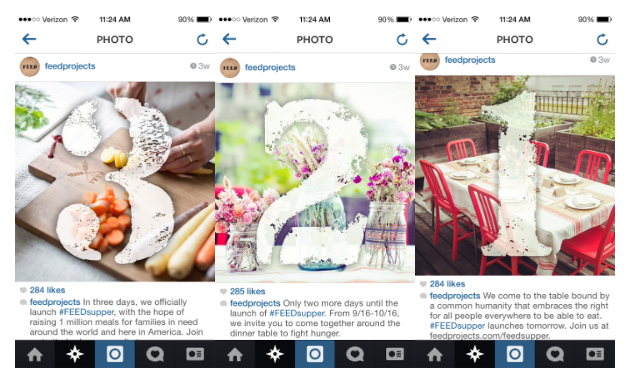 It’s live for just 24-hours and visible only to people who engage with your brand on Instagram. For example, Mercedes-Benz recently shared gorgeous pictures from a recent test drive of its G-Class SUV. These pictures showed behind the scenes footage of how Mercedes tests its cars along with stunning shots of the German countryside in rains. This is a perfect example of how exclusive behind the scenes pictures can promote loyalty and engagement. You can make your followers feel special by sharing updates no one else gets to see. Another tactic is to share additional content related to updates in your regular feed. 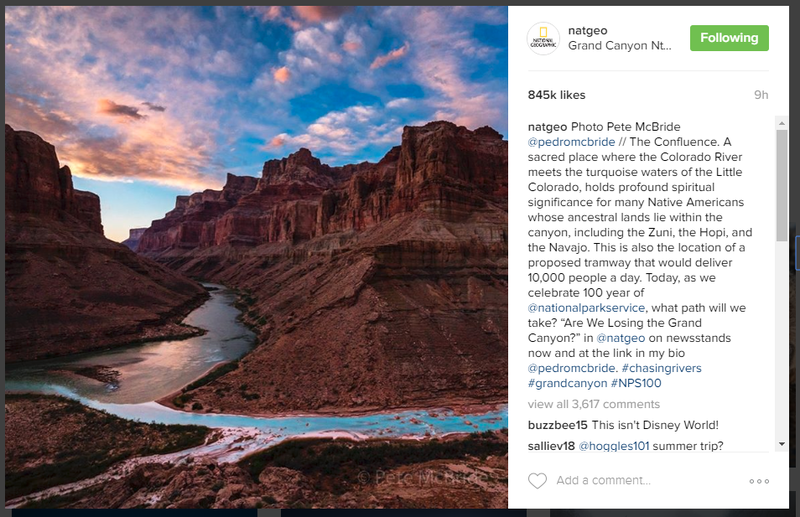 This is the final shot of the Grand Canyon as captured by a NatGeo photographer, Pete McBride. This is exclusive content that amplifies your existing content. What kind of stories should you share? What should you focus on in your social media updates? Would your followers prefer seeing images or videos in your stories? Turns out, the best people to answer these questions are your followers themselves. For example, when TacoBell launched its first Instagram story, it directly asked its followers: What would you like to see on our Instagram Story?. Stories is the perfect medium to ask such questions since it doesn’t interrupt your regular feed. You can safely seek feedback from users within stories while leaving your main feed as polished as you want. Have a new app, sale or ongoing contest? AFAR Media takes things a step further: it teases followers with stunning images and videos, then prompts them to take part in a poll. This places the poll in context and gives followers an incentive to share their favorite destination. 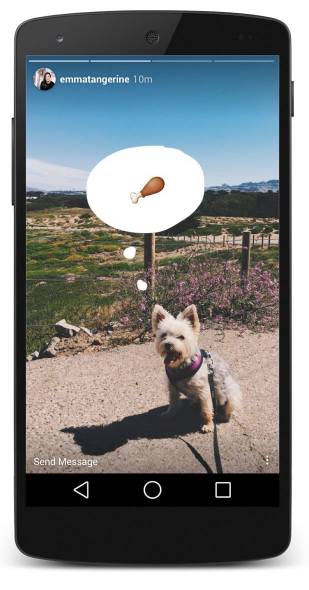 Emojis, text, finger paint — Instagram Stories’ editing tools might not be extensive, but they can still help you experiment with new content formats and styles. Similarly, Starbucks uses the finger paint tool to create art with its coffee as the centerpiece. You have a lot of room to be creative with these new editing tools. And since there is no pressure to perfect your updates, you can experiment with riskier storytelling angles. 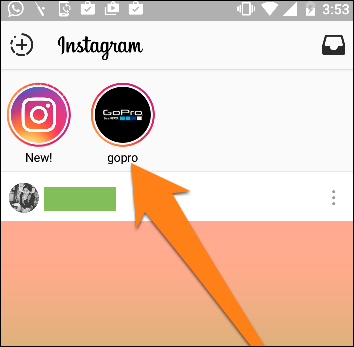 Instagram Stories is a massive new development in the world of social media marketing. How it impacts social media remains to be seen. We don’t know if people will actually use this new feature or if they’ll stick to Snapchat. What we do know that it offers businesses tons of options to brand and promote themselves. Try some of the tactics we’ve listed above to turn your stories into engines of growth. Use exclusive content to promote loyalty, behind the scenes footage to build your brand, and offer limited deals to attract and convert users.